An Australian firm claims to have found the wreckage of the missing Malaysian Airlines Flight 370 (MAS Flight MH370) on the sea floor of the Bay of Bengal. On Tuesday, the Malaysian government confirmed that officials are now investigating GeoResonance's claim. In a statement sent to CBS News, the Australian land and sea exploration firm said it had found materials suspected to be the wreckage of the missing aircraft in the Bay of Bengal, 100 miles south of Bangladesh. GeoResonance's technology is used to scan wide areas for mineral deposits. However, the company has also used it to look for old warships or planes on the ocean floor. In a written statement, the firm said it had searched for aluminum, titanium, steel alloys, jet fuel residue, and copper, among other substances. These chemical elements are present in a Boeing 777. The company scanned "multispectral images" taken from the air two days after the aircraft disappeared and said it found an anomaly in the said location in the Bay of Bengal. 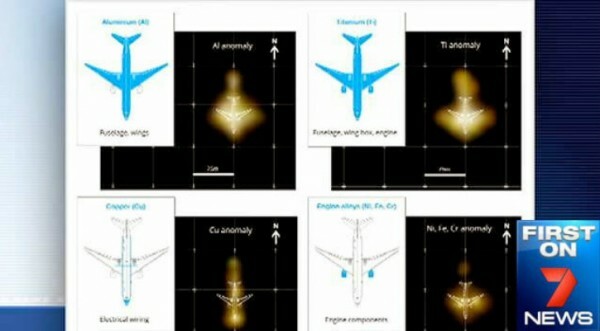 Significant amount of the Boeing 777 chemical elements were detected in that area and a pattern matching the aircraft's layout had also been found, according to the firm. GeoResonance said it analyzed images taken in the same area five days earlier. The analysis showed that an anomaly had occurred between March 5 and March 10, 2014. CBS News cited a US official familiar with the investigation saying they were still beginning to gather information about the claims of the Australian company. Since the Flight MH370 went missing on March 8, many false leads for the search have emerged. Investigators believe the aircraft turned around inexplicably after it lost contact and headed towards the Indian Ocean. On Monday, officials said that they would be expanding the search area significantly. The air search would also be called off. The 1,000-mile area in the southwest of Perth, Australia, has been thoroughly searched by a robotic US Navy submarine that uses sonar imaging. GeoResonance said it had first informed the Malaysian Airlines and the Chinese and Malaysian embassies of Australia of its findings on March 31. The firm said this was a time when the black box batteries had not yet expired.